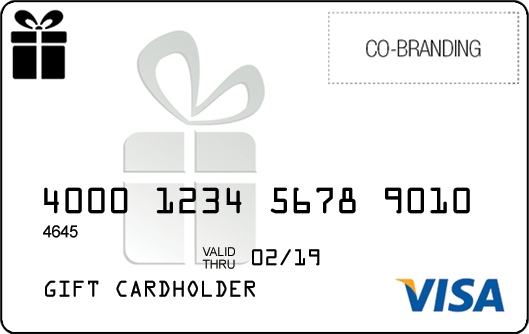 This Visa gift card might not be bright and colourful, but it doesn’t need to be. When you need to keep your incentives, rewards, or gifts professional, this is a great choice. As it has the option to be either co-branded or fully branded as your own, it is also designed to be a simple backdrop for your own logo. With a simple white-and-grey colour scheme, it will work alongside most brands. It gives your brand the chance to shine, keeping you front-of-mind for recipients when they spend their reward. Or, indeed, whenever they open their wallet.